As our sponsorship winds down, we want to thank NetBurner for supporting The Amp Hour. Be sure to check out the special deals they have for listeners of The Amp Hour and if you are interseted in the auto-update function, check out this example video of creating an application on you NetBurner development board! Chris continues to work on his 10 week electronics training program. If you’re interested in being part of the Beta Program, head over to the Contextual Electronics Beta Program page and apply to be part of the initial group of participants. The applications close and participants will be chosen by the end of the week (8/4). Sponsorships abound! Both EEVblog and The Amp Hour are sponsoring the Open Hardware Summit! Chris will be attending the summit and we will likely have another meetup for The Amp Hour on Thursday September 5th in Boston! 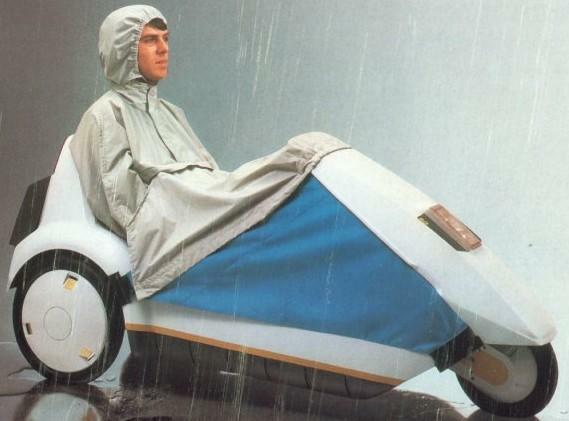 Dave has been riding Malcolm Faed’s Sinclair C5 vehicles. Chris thinks some of the images are ridiculous and hilarious. If you don’t want to ride around in a scooter looking thing, try out a skateboard like Boosted Boards! The powe rdelivery is impressive for such a small package. And if that still isn’t enough power and you have some money lying around, go buy a Tesla vehicle. Even better, go to t he factory and see how they’re made! The sheet metal stamping at Tesla is impressive, but the Ford sheet metal prototyping is even more amazing for quick-turn, one-off type of prototypes. Supply Frame (online search engine company for parts and sponsor of Dave’s forum) has bought HackaDay! Seems like a great fit! There are a few new Kickstarter projects that implement the Xilinx ZYNQ, a FPGA/Dual Core Microprocessor combo with other integrated hard logic. The Red Pitaya is a test and measurement platform that is very flexible. The Parallela is a supercomputer platform that can be paired with other boards to dramatically increase processing power. They are now taking pre-orders for non-Kickstarter boards! Dave has a new videos explaining both FPGAs and JTAG chains. Chris is still getting used to Glass. His favorite function is the translate, which utilized the Google Translate servers. This would be useful in the markets of Shenzhen. Speaking of, Ian from Dangerous Prototypes visited Shenzhen…and never left! Google is continuing their work on Babelfish-esque technology to make translation even better. Dave likes the Shonky Product of the week, which may look like it’s only an ethernet passthrough, but is promoted as a speed-up device. Listener Daniel Amesberger is working on a completely DIY Pick and Place machine. It looks amazing, but the low volume prcie for materials is a little high. Listener Michael Curran wrote in about the treasure his folks dug up in their back garden in England: a 1920s Bakelite electric coupling! Chris and Martin Lorton (of the mjlorton channel on YouTube) got a chance to meet now that Martin moved back to Cleveland. They will be doing regular meetups. Dave is now considering doing the same in Sydney. Next week, we’ll have the entire Sparkfun Engineering Team on the show. Get your questions in for them now. It should be pandemonium! Thant Sinclair C5 is a Big Wheel for big kids – LOL! Saw Dave’s video of his ride on Sinclair C5. With new motor and up-to-date battery technology and controls this could be a screamer. Have you seen electric Benz? > 700 hp! I would like to give a supporting vote for the Digi-Key website. I found it easy to use and quite productive. You should compare it to any retail hardware store. I tried to look at the Ford sheet metal prototyping machine, but the link was broken. You’all need to start a kick-starter to get Dave to the land of Netflix. Haven’t given up, just prioritizing Contextual Electronics. Once I get that sorted, I plan to jump back in. Lots of things I want to be making. I don’t think Sir Clive Sinclair would be a very good fit for the show to be honest. It was only in the very early years of tiny portable transistor radios and amplifiers that he did the engineering. After that he became a master of marketing and showmanship, with all that entails. Now, if you could get one of the designers of the ZX80/81/Spectrum or QL on, that would be a different matter! Probably best to have them on when Chris is away one week though. Chris, how can learn more about your CLE-area meetups? Do you think you’ll set up something formal on meetup.com? Or just keep an eye on your twitter feed? We’ll probably do a meetup.com thing but also I’ll mention it on the show once it’s set up.